Series integrated to the Made In France collection, this range of Hector kitchen knives seduces by its plain and contemporary design. 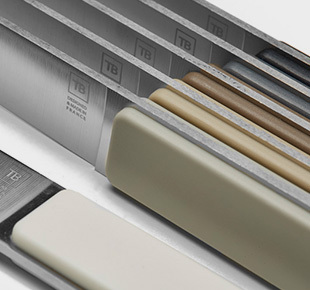 French leader in knife making, TB Groupe manufactures these French kitchen knives in its workshops located in Thiers. Made of ABS, their ergonomic handle is very hefty and light, favouring an easy handling. They are very simple to clean as they can be placed in the dishwasher. 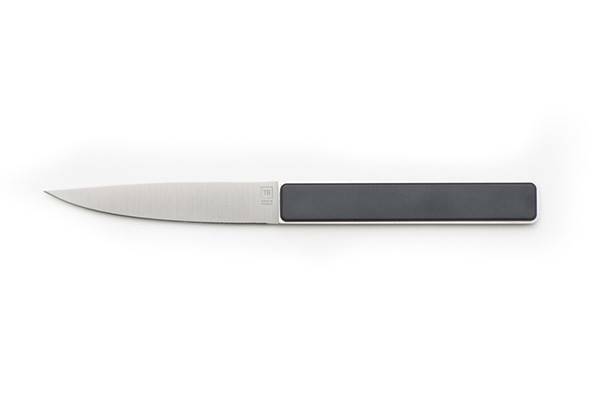 The full tang blades of these Hector kitchen knives are made of a tempered stainless steel of very high quality. Rich in chromium, this material guarantees a perfect resistance to corrosion. 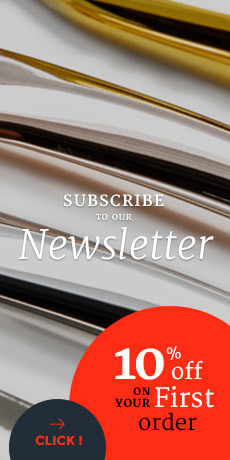 The cutting is clean and precise. The Made In France knives can be personalised by laser engraving.